A4H PR — Tampa, Florida – Astronauts4Hire is pleased to welcome Fuzebox, Inc. to its growing list of supporters helping to further its mission to develop the next generation of astronauts. FuzeBox has granted the non-profit organization a professional-level license for its Fuze Meeting video conferencing and collaboration product. FuzeBox is a personal telepresence and visual collaboration SaaS (Software-as-a-Service) company whose vision is to empower global professionals with visual collaboration, real-time communication, community, and presence on any platform. Its flagship product is Fuze Meeting, which enables cloud-based multi-party web conferencing and an easy user interface. With its members spread out across the Americas, Europe, and Asia, Astronauts4Hire relies upon the Fuze Meeting virtual collaboration tool to connect its members as it builds the suborbital frontier. In addition to its role in facilitating internal communications within the Astronauts4Hire organization, Fuze Meeting is also a valuable public outreach tool. Astronauts4Hire will be hosting its first public webinar with the software at 3 p.m. EST on December 15, 2011. Mr. Duane Ross of the NASA Astronaut Selection Office will be the featured guest, providing insight and answering questions for anyone planning to apply for NASA’s current astronaut candidate application opportunity. Interested participants can RSVP and join the online meeting athttp://a4h.eventbrite.com. Registration is limited to 100 attendees, but an audio recording will be available on the Astronauts4Hire website after the event. For its support of Astronauts4Hire, FuzeBox becomes an Astronauts4Hire Orbital Level sponsor.Astronauts4Hire thanks FuzeBox for generously supporting the growth of the commercial spaceflight industry. Sponsorship and donation inquiries can be sent to donate@astronauts4hire.org. 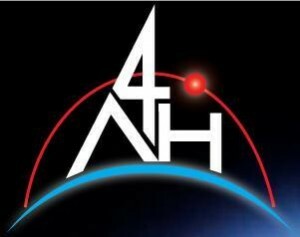 Astronauts for Hire, Inc. (A4H) is a 501(c)(3) non-profit corporation whose objectives are to provide opportunities for students and professionals to develop and refine the skills necessary to become commercial astronauts and to assist these qualified candidates with networking opportunities in the space research community. A4H’s commercial astronaut candidates are accomplished scientists and engineers who can support a wide variety of payloads. They are available today for contract and consulting work with researchers to design and conduct experiments on microgravity, suborbital, and orbital missions. For more information, please visit www.Astronauts4Hire.org or contact Public Relations Officer Ben Corbin at media@astronauts4hire.org or at (850) 685-2218. FuzeBox is the global leader in real-time visual collaboration applications for millions of end users across various businesses. Its applications – Fuze Meeting and Fuze Telepresence Connect, allow people to communicate, collaborate and share content from any device, across any network, anywhere in the world. Fuze Meeting is a mobile and web-based collaboration service that features integrated audio conferencing as well as high-definition, synchronized video and image sharing. Fuze Telepresence Connect is a cloud-based solution that eliminates the interoperability problem inherent in proprietary telepresence and video conferencing systems, enabling all devices including mobile tablets, to inter-operate with telepresence environments. The company’s technology is based on a real-time visual communications platform that converges telephony, high-definition, synchronized video and image sharing across the enterprise, the web and mobile networks. For more information, please visitwww.fuzebox.com.